Judge Lee Jung Joo (Park Eun Bin) presides at the Seoul District Court. She sometimes swears at shameless defendants with unspeakable words. 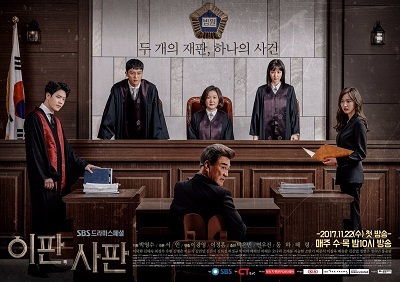 Meanwhile, Judge Sa Ui Hyun (Yun Woo Jin) is assigned to the judgement bench with Judge Lee Jung Joo. He is well known for his excellent use of the law and his conscience to reach verdicts. Now, Lee Jung Joo fights against a huge power who framed her older brother for murder and killed him.